Boycott Bacardi - enemy of socialist Cuba! Bacardi Rum Corporation has launched an advertising campaign, based on a ‘macho’, untameable image and posing as victims of the Cuba’s socialist revolution. In fact, Bacardi are the perpetrators of violence and injustice, not the victims. 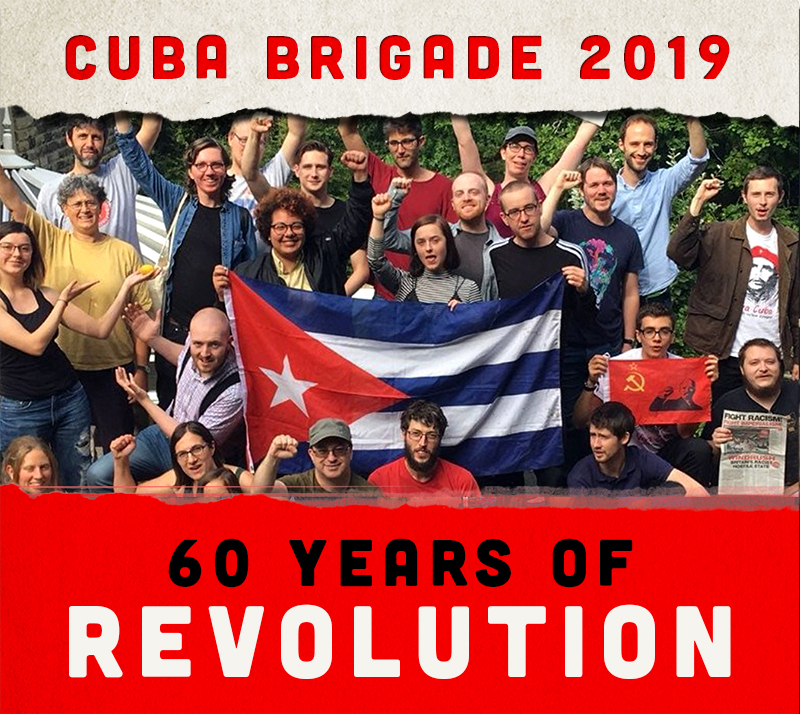 For 55 years, Bacardi has backed illegal and violent attacks against the Cuban Revolution, including funding the Cuban-American National Foundation, a right-wing Miami-based exile organisation involved in terrorism against Cuba. During this time, more than 3,400 Cubans have been killed by terrorism and sabotage. Many of these actions funded by this corporation. Bacardi’s lawyers helped draft the US Helms-Burton Act, which extends the US blockade of Cuba to all countries, in breach of international trade laws. Bacardi served as a conduit for funds from the CIA to mercenaries in Nicaragua, El Salvador and Angola and to saboteurs in Cuba. Rock around the Blockade launched a Boycott Bacardi Campaign on 13 August 1999 to highlight the organised attempts by the Bacardi company to undermine the Cuban Revolution. In advertising its white rum, Bacardi played on its Cuban roots, misleading drinkers into believing that Bacardi had some links with the island. In fact the Bacardi empire is based in the Bahamas and the Bacardi company broke all ties with Cuba after the Revolution of 1959, when its cronies in the hated Batista dictatorship were overthrown by a popular guerrilla movement led by Fidel Castro and Ernesto 'Che' Guevara. Since then the Bacardi company has backed illegal and violent attempts to undermine the Cuban Revolution, including sponsoring anti-Cuba terrorism since 1962, when one of its directors, Pepin Bosch, became actively involved in preparing the Bay of Pigs invasion. He set up the Cuban Representatives in Exile (CRE) in 1964 with its headquarters in Miami. Financed by the CIA, CRE aimed to assassinate Cuban leaders such as Raul and Fidel Castro and Che Guevara. Bacardi supported this activity. It was at this time that Bacardi established relations with the extreme right-wing republican senator Jesse Helms. In 1980, the US National Security Council helped Bacardi set up the Cuban-American National Foundation (CANF). Ignacio Sanchez, a CANF fellow director and senior lawyer to Bacardi, is credited with drafting the Helms-Burton Law. US Senator William Dengue commented that the law should be renamed the Helms-Bacardi Protection Act. The Helms-Burton Act was designed to tighten still further the United States blockade of Cuba. The blockade prevents the sale of food, medicines and other essential supplies to Cuba and threatens other countries if they trade with Cuba. It has been estimated that the blockade has cost Cuba over $40 billion in lost production and trade. Every year the US blockade is overwhelmingly condemned by the United Nations. The blockade is responsible for severe shortages and suffering among the Cuban people. For instance, the prestigious American Association of World Health (AAWH) reported in 1997 that the US blockade is contributing to malnutrition and poor water quality in Cuba and that Cuba is being denied access to drugs and medical equipment which is causing patients, including children, to suffer unnecessary pain and to die needlessly. The AAWH gave examples of heart attack patients who died because the US government refused a license for an implantable defibrillator, of Cuban children with leukemia denied access to new life-prolonging drugs and of children undergoing chemotherapy who, lacking supplies of a nausea-preventing drug, were vomiting on average 20 times a day. The AAWH concluded that a humanitarian catastrophe had been averted only because the Cuban government has maintained a high priority for a system designed to deliver primary and preventative care to all its citizens. It is worth recording that despite the effects of the blockade, Cuba in 1998 received a World Health Organisation award for meeting all the WHO targets for all countries by the year 2000, the only country to have done so. This is the humane, socialist system that Bacardi seeks to destroy. Through its support of the blockade, its funding of the CANF and its links with the CIA, Bacardi shares the responsibility for the suffering imposed on Cuba over the last 42 years. Not content with this, Bacardi has now resorted to stealing the Havana Club label. Although the blockade means that Cuban rum cannot be sold in the USA, in 1974 Cubaexport registered the Havana Club trademark there to prevent its use by other companies. The rights to the trademark were bought by the French company Pernod Ricard, when it set up a joint venture with Havana Club holdings in 1994 - in the face of threatening letters from Bacardi. A key figure in the Bacardi-CIA-CANF network for many years has been Otto Reich, now the first choice of the current Bush administration as policy supremo for Latin America. Florida governor Jed Bush, brother of President George W Bush, has long had close ties with the network as well. The truth about Bacardi has been further exposed in a new book by radical Colombian journalist Hernando Calvo, 'Bacardi - the hidden war. The book shows that the multinationals are not just entities with commercial interests, but political ones as well. Bacardi may not be a US firm, but it controls US legislators, creates US legislation to defend its interests and promotes US terrorist activities.